TRULY EXTRAORDINARY! 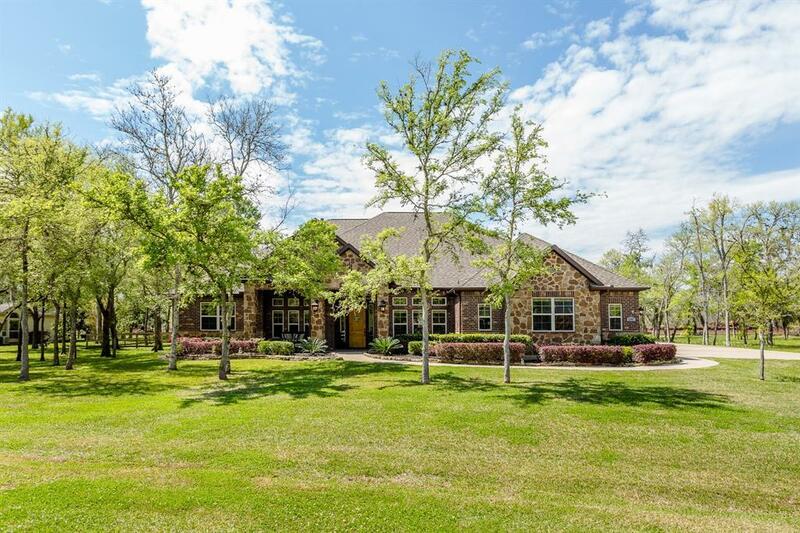 This home is nestled in a forest of mature trees on over 1-ACRE and has a 5-CAR Garage, a separate Storage Garage, huge covered Porches, a screened-in Porch, a covered Deck and LOW TAXES. There is also a finely appointed, nearly 1,200sf. detached GUEST HOUSE. 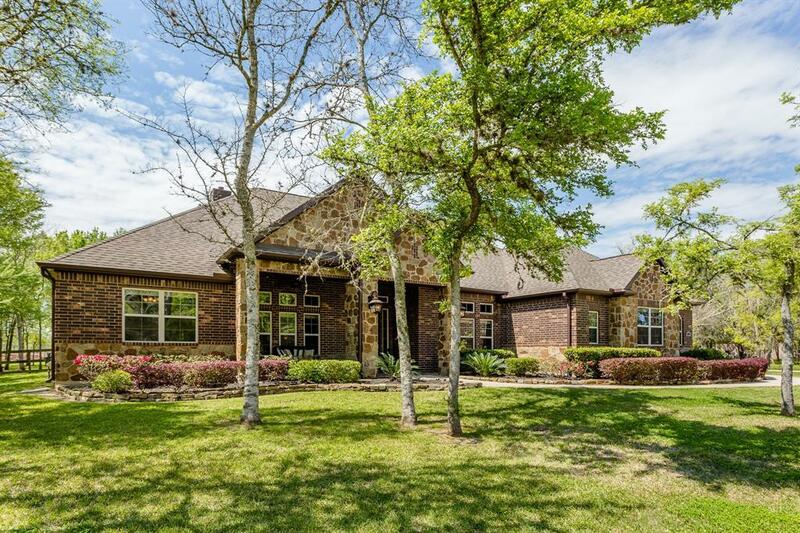 The main residence is primarily a Single Story with a Gameroom up, or the 5th Bedroom. 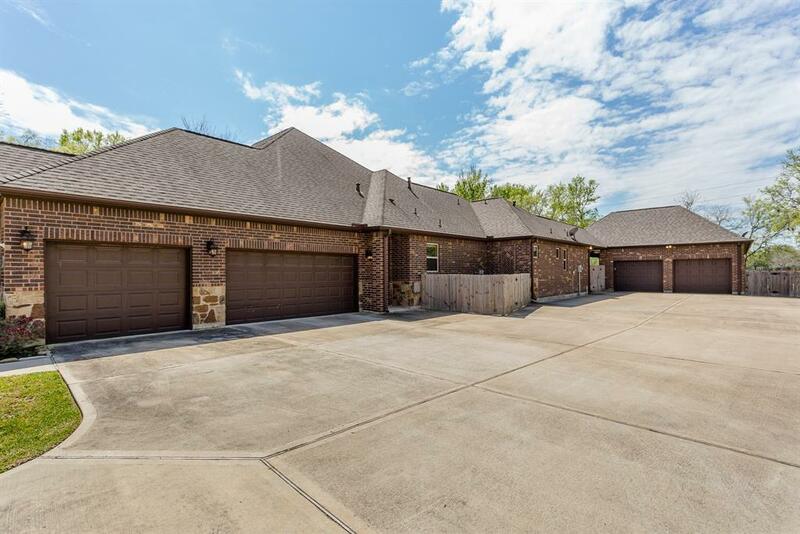 Exquisitely finished and superbly crafted with gorgeous "wood-like tile floors, designer level granite, fine knotty alder cabinetry, crown molding, massed arches, raised ceilings and 8-foot mission style doors. Floor-to-ceiling stone fireplace in the Family Room. Stunning Island Kitchen has large Breakfast Bar and KitchenAid appliance package with gas cooktop and double convection ovens. Sumptuous Master Suite with stunning views and Bath with dramatic door-less, "walk-thru shower. Lovely secondary Bedrooms. 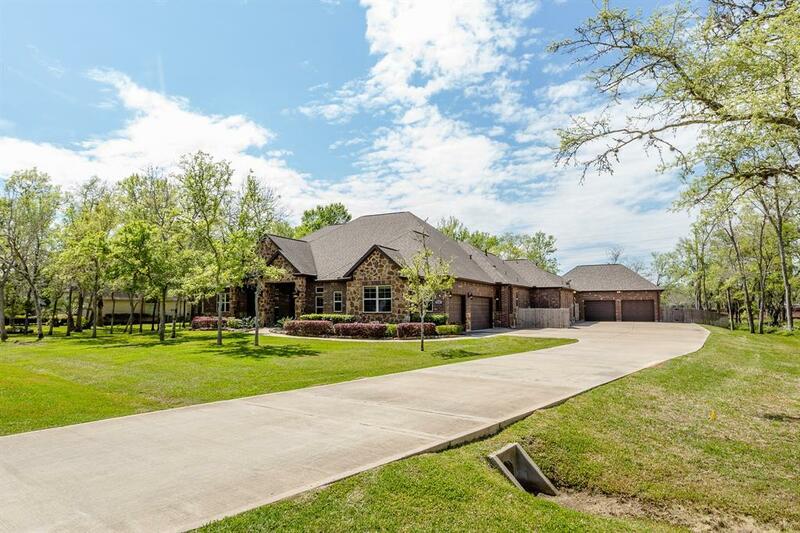 Dont miss out on this remarkable "lifestyle home.